We supply mailing bags to some of the largest online retailers in the UK. Bespoke printed to promote customer brands. We also have a large stock range which are always available for immediate dispatch. 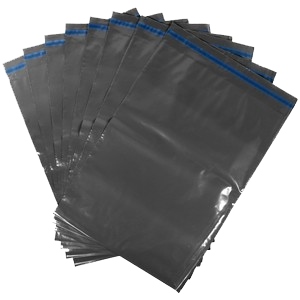 Grey opaque polythene mailing bags. Our stock mailers are made from 2 film layers extruded together. This co-extruded film makes the bags extremely puncture resistant and provides total film opacity. Black on the inside and grey on the outside, our bags have self-seal strips with a permanent adhesive ensuring excellent product security. Our grey mailing sacks are very high quality and are compatible with adhesive labels. Mailing bags are an excellent opportunity for companies to showcase their green credentials to their customers. We can produce mailing bags from 100% recycled polythene and also due to new technologies now in a Sugarcane based polythene instead of oil based polythene which offers significant environmental benefits. 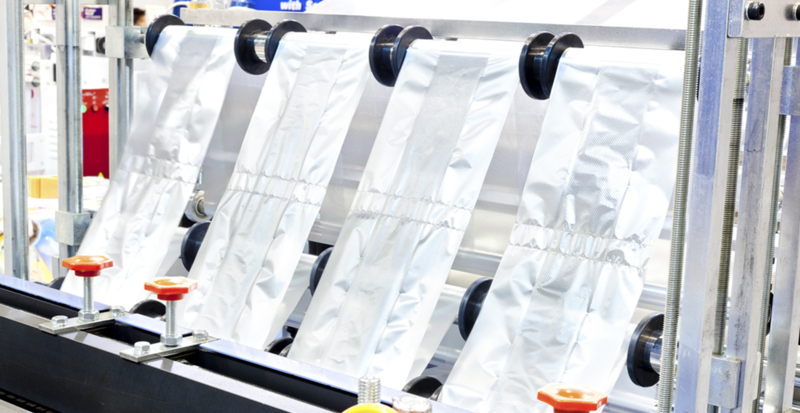 We can also produce mailers with a bio degradable additive which significantly reduces the degradation time of the bag. When produced in these materials we can print a fully customised design onto the mailing bag highlighting these facts and green credentials alongside your company branding. Due to our excellent printing capabilities we can print customised designs of up to 8 colours onto mailing bags, our print origination team will also work with you to help ensure your company achieves a powerful design with your company branding that impresses your end customer when delivered. Whenever you need to send important documents or just want to make sure that the contents will only be opened by the addressee you should post them using some kind of tamper proof mailer. Tamper Evident Mailers offer a great deal of security including a tracking code, so once opened, these envelopes can never be closed again without leaving a trace. Tamper proof mailers are great for posting personal or delicate items.